USD is still powerful due to the Fed’s actions next month and investors’ hope for better economic developments during Trump’s presidency. 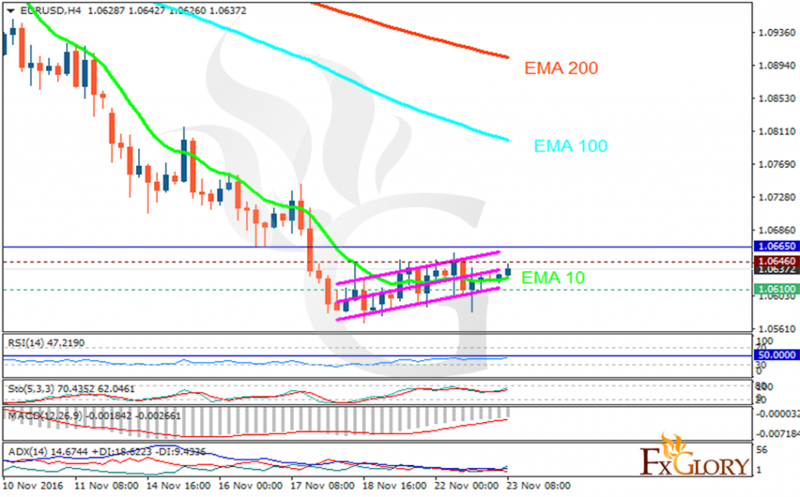 The support rests at 1.06100 with resistance at 1.06460 which both lines are below the weekly pivot point at 1.06650. The EMA of 10 is moving horizontally and it is below the EMA of 100 and the EMA of 200. The RSI is rising towards the 50 level, the Stochastic is showing upward momentum and the MACD indicator is in negative territory. The ADX is not showing any clear signal. The pair’s failure to reach beyond the resistance zone is a good signal for sellers who can target 1.0500 for the next destination.